Episode 27 – Coztastic Voyage | Ask Dr. White Cosby! Yes, this flimsy premise is still going on – blasted with unknown radiation from a shrink ray he built out of old Magnavox parts and a Super Soaker CPS 3000, White Cosby has shrunk down to electron-microscopic size in order to find inner peace on the dunes of his own miniature zen sand garden. But now he keeps shrinking, down to the terrifying world of the bacterioid. Being such a tiny, nutrient-filled sack of glucose and meat, WC’s mere stench is like a golden dinner bell for all sorts of tubules and spores and things. Beset on all sides by streptococci, bacilli, and other science-type things, he’s somehow found a way to survive AND record another amazing, life-changing podcast. Germs, though. Tiny germs. Eck. 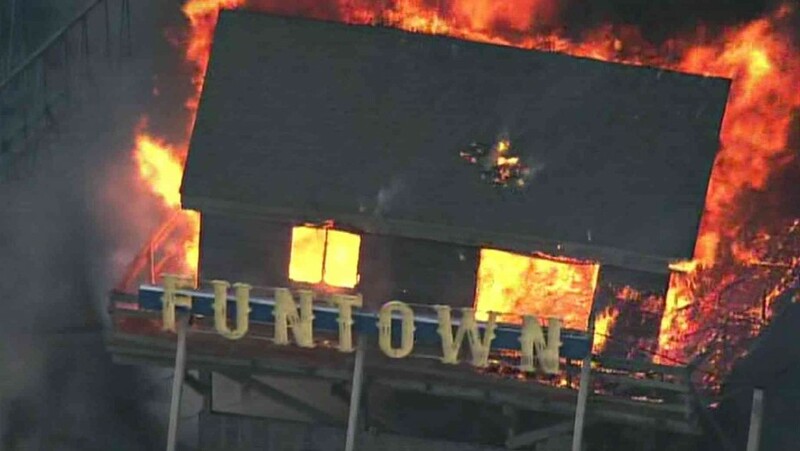 This image of an amusement park aflame is symbolic of your life before White Cosby’s advice. What’s the proper way to shave a manly face? What’s the deal with baby showers for grandmas? Is it wrong to wear the clothes of a dead relative? And, in some inexplicable fashion, White Cosby managed to catch a minuscule screening of the latest Tom Hanks Oscar-grab. Check out the World Famous White Cosby Movie Review of Captain Phillips! ‹ Episode 26 – Slumberland Frolics!